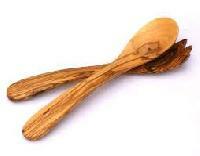 We offer Salad Spoon. 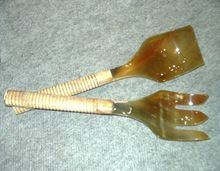 The ultimate horn, wood, resin & shell spoon. 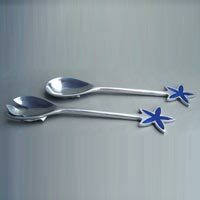 We offer kitchen accessories. 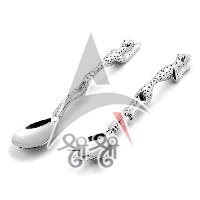 The hollow handle salad spoon has an elegant design that can compliment any decor. 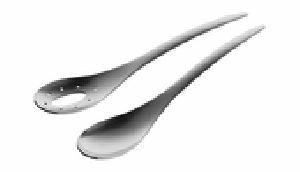 Made from high quality Aluminum, Aluminium Salad Serving Spoon provided by us, is designed and manufactured as per the prevailing market trend. Produced using premium grade aluminum and metal alloy, our range of Aluminium Salad Serving Spoon is available in different colors, various volumetric and standard sizes. 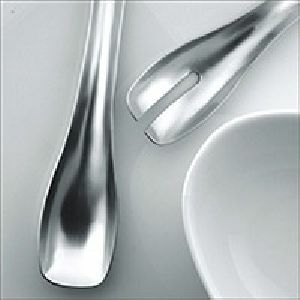 In addition to durability, Aluminium Salad Serving Spoon has a brilliant luster and is strong and sturdy. Light, powerful, simple, harmonious, pure, energetic - that's Vitalis. The curving, flowing contours represent the perfection and the power of nature. 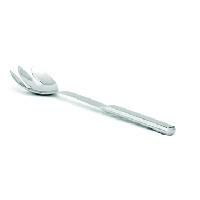 Like all Mertens cutlery Vitalis is manufactured in Soligen, Germany with exquisite craftsmanship. 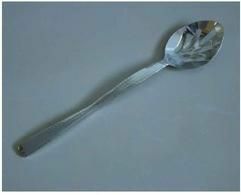 we are offering Salad Spoons. 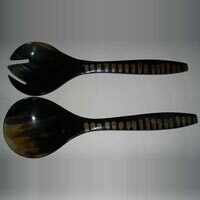 We are a reputable name as a Manufacturer, Exporter and Supplier of Cheetah Handled Salad Spoon in Uttar Pradesh, India. 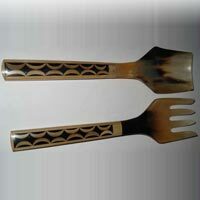 The Cheetah Handled Salad Spoon that we deal in is made using imported raw materials and advanced machines. It is accurate in shape, elegant look, and comes with flawless finishing. You just have to place your order and we will definitely deliver the same on time. 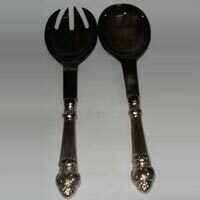 As we have marked a distinct name in the market, we are recognized as the trusted organization for supplying quality Salad Serving Spoons. We keep the finished assortment of products in highly developed and spacious space. This helps us in keeping products secure and sorted. 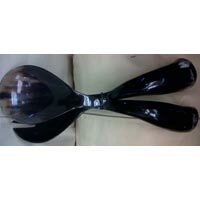 Our Salad Serving Spoons are made of stainless steel with a mirror finish and quality packaging. 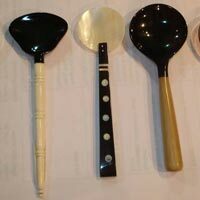 We Offer horn and bans salad spoon. good combination horn and bans. 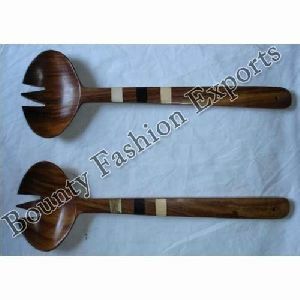 We Offer wooden salad spoon with designer horn chips handle. 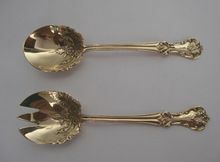 We Offer horn Oval Salad Spoon with brass handle. 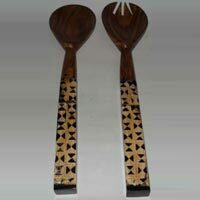 We Offer horn salad spoon with horn handle.